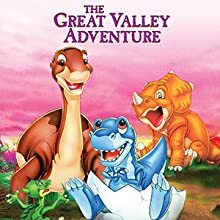 Amazon's Choice for "land before time"
Introducing Littlefoot, Cera, Spike, Ducky and Petrie as we follow them on their first journey together – an exciting quest to find the lush, legendary Great Valley. 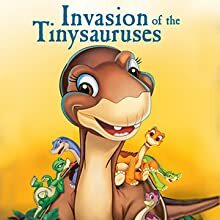 After his tribe of herbivorous dinosaurs moves to the Great Valley, young brontosaurus Littlefoot and his friends chase after a pair of dangerous dinosaurs stealing an egg from the village. 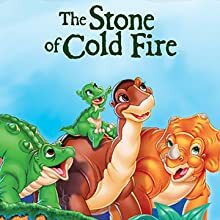 Littlefoot and his friends search for more water when a meteorite has plunged into the Great Valley, cutting off the water supply and causing tension among the once-peaceful dinosaurs. 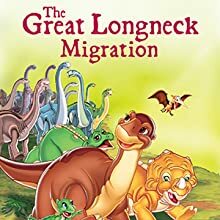 Littlefoot and his dinosaur pals go in search of a medicinal flower that will cure his ailing grandfather. 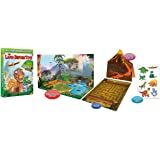 A plague of locusts strikes the Great Valley, destroying the plants and forcing the dinosaurs to migrate in search of food. 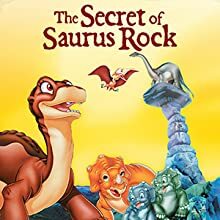 The adventurous young dinosaurs Littlefoot, Cera, Spike, Ducky and Petrie investigate a mysterious rock formation and fend off the dangerous sharp-tooth dinos. 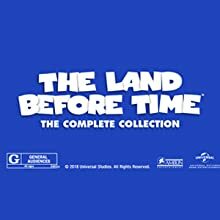 Littlefoot, Cera, Spike, Ducky and Petrie journey to the mountains after a mysterious fireball appears in the sky. 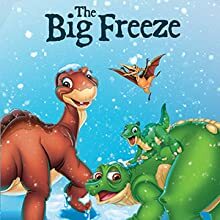 Snow falls in the Great Valley for the first time, puzzling and enchanting everyone including Littlefoot, Cera, Ducky, Petrie and Spike. 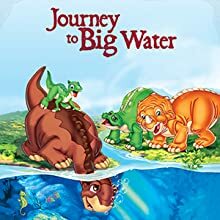 When heavy rain creates a mysterious new water, Littlefoot sets off to explore the Great Valley and becomes friends with Mo, a prank-playing dolphin-like creature. 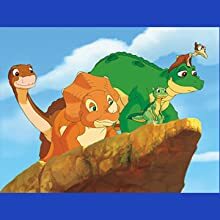 The always curious Cera, Spike, Ducky and Petrie join Littlefoot on a trip with his grandparents where he meets his long-lost father. 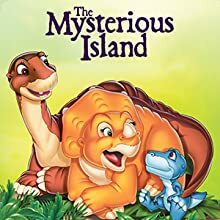 The Tinysauruses invade the Great Valley to teach Littlefoot a big lesson about a little lie and the value of honesty. 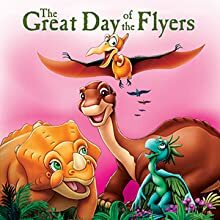 Fun takes flight with prehistoric pals Littlefoot, Cera, Petrie, Spike and Ducky when they meet a mysterious creature and get ready for a flying exhibition. 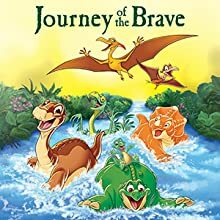 Littlefoot, Cera, Spike, Petrie and Ducky are excited to meet two goofy and lovable yellow-bellied Beipiaosauruses, Loofah and Doofah, who have lost their way while traveling to the distant Berry Valley. 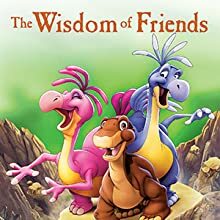 When Littlefoot, Cera, Ducky, Petrie and Spike travel across strange landscapes and meet new friends, Etta and Wild Arms, they discover that by pulling together they can overcome any challenge. 5.0 out of 5 starsLove them even as an adult. I'm 27. I have no children. Lol getting that out of the way first so that those of you who think I'm a weirdo can scroll along. I've loved these movies since I was a kid. Used to watch them all the time with my mom, and when I saw the DVDs on sale I had to buy them. Childhood favorites never stop being loved, after all. Watched the first 2 today. 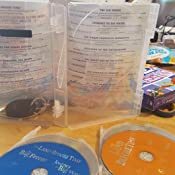 The DVDs are great. They are well-packaged, love the box and case. And the movies are just as I remember. Thanks for the trip down memory lane. 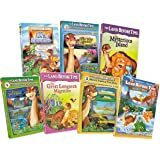 I watched most of the Land Before Time movies on VHS as a kid and really felt like going through them again. While the animation might not hold up well against modern animated films, they are still very fun (and sometimes tearful) movies. All 14 of the original run are in here in full. There's a 15th that's not included but I think it's on Netflix anyway. 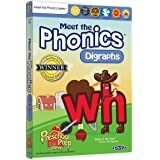 5.0 out of 5 starsPleasing to fans young and old! - Arrived VERY quickly! I chose the slowest free shipping option and it still arrived in 2 days! 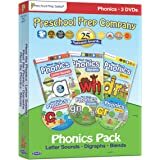 - Perfect condition! The discs and dividers in the case are all in order and working! - It really is all of them! All of the spin-offs as well as the original Don Bluth movie AND the new 2016 one with Reba! - Worth the price. Even when it isn't on sale, this costs way less to buy all of these movies than each of them separately or in 3 or 4 packs! - Sweet memories! 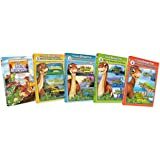 I loved these movies as a kid and now I can share them with my niece and nephews! 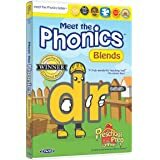 - Enjoyable for all! Adults and kids alike can enjoy these movies! It also gives us something in common to bond over. - It's not Minions. These movies take difficult but interesting adult concepts like death, separation, and grey morality then put it into a fun sing-a-long experience children can understand and enjoy. 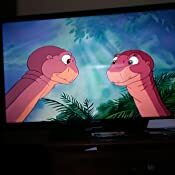 I used to watch the Land Before Time movies all the time as a child. I had almost all of them on VHS tape and I would play them so much. Even my elder brother and mother remember and enjoy watching them (my mom loves the Lone Dinosaur). My brother ended up buying me the two-DVD set with movies 6 through 9 a little while back and I put it on for my nephews once. They LOVED it! Every time they come over, they wanted to watch it but just those 4 movies were getting a bit stale to watch. 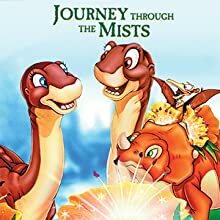 A few weeks ago, I tried to put in my VHS tape of Journey Through The Mists (#4) and the old VHS player just couldn't hack it anymore---there were lines and bars all over the screen, and color distortions. It was totally unwatchable. One of my nephews watch what little of the tape managed to work with me and saw that movie's villains, which included the belly-dragger Dil. Every time he came over afterwards, he would plead to watch the dinosaur movie with the "crocodile" in it. Finally, I decided I would buy the Land of the Mists online just so I could let him watch the "crocodile" he wanted to see so badly. I ended up finding this collection, which I couldn't find anywhere else. It had ALL of the movies for approximately half of what it would cost to buy all the different sets to piece together a collection? I was sold! I ordered it on June 25th, and it arrived here on the 27th! I didn't even pay for two day shipping, I bought the slowest, free delivery option since it will be a little while before my nephews come over. That's fantastic service right there! I'm going to have a great time showing each of these movies one-by-one to my niece and nephews. 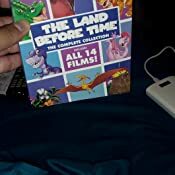 It's well worth the price to have a boxset of 14 movies (over 17 hours worth of film according to the box), but its absolutely priceless to be able to create the memories and traditions that were taught to me as a kid and I can now pass on to my brother's children. 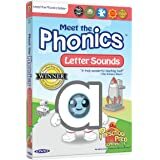 5.0 out of 5 starsBeloved series! 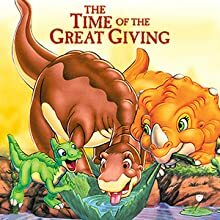 I watched TLBT as a child myself and when my 2 and 4 year olds became interested in dinosaurs, I let them watch a few of these movies on Netflix. When I saw this set on Best Deals, I quickly purchased it. My kids like all the movies and sing along to the songs. After all these decades, it's still a great movie and the additions are loved by the next generation. 5.0 out of 5 starsLittleFoot has a girlfriend! And meets his dad! 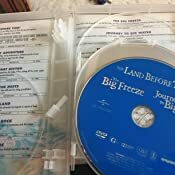 My 3 year old niece likes watching all these, especially Journey to Big Water. She likes naming all the characters. 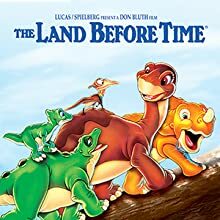 These were my childhood movies, and after more than 2 decades I just now learned that LittleFoot had a girlfriend and meets his dad. 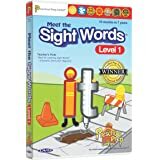 Can be said sometimes, but good for kids. 5.0 out of 5 starsSon loves! 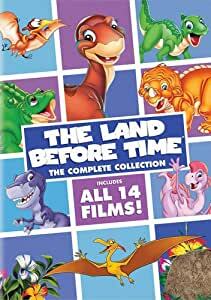 Perfect set to watch all the Land Before Time movies - our 2 year old son LOVES it (and we remember 1-3, but had no idea there were so many after that!). We were looking to just buy the originals, but when we saw this, it made sense to buy all 14 :) Love having all the movies at a decent price.